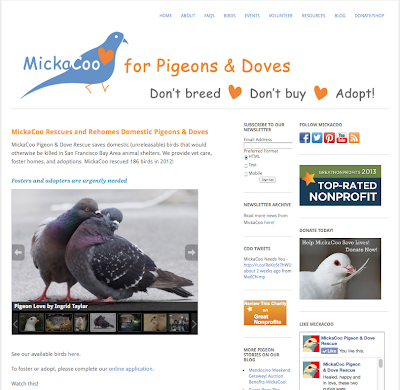 MickaCoo Pigeon & Dove Rescue has 2nd place in GlobalGiving's Contest! 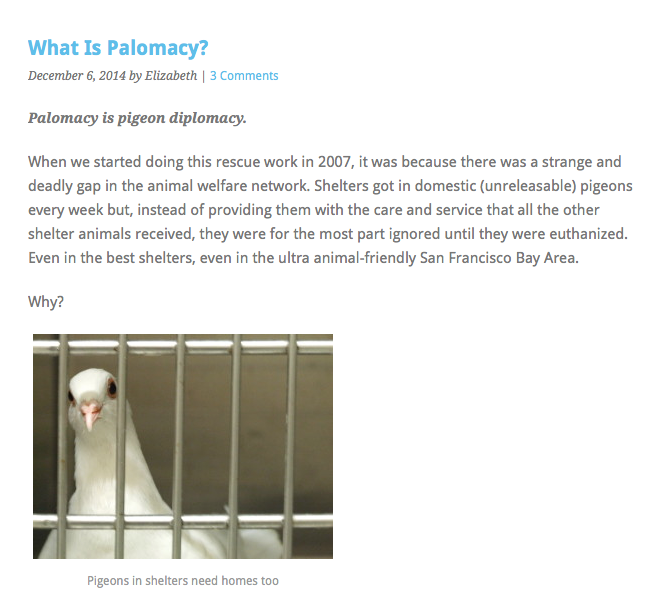 Please vote now for Gracie & help win compassion & funds for pigeons! Please help people see pigeons for who they really are. 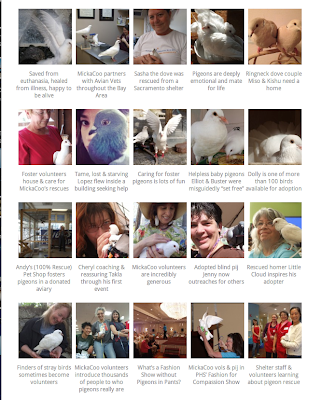 Help MickaCoo win honor for the birds. See Gracie's story & more photos here. Please vote & share. Gracie needs lots of voters to win. Thank you! 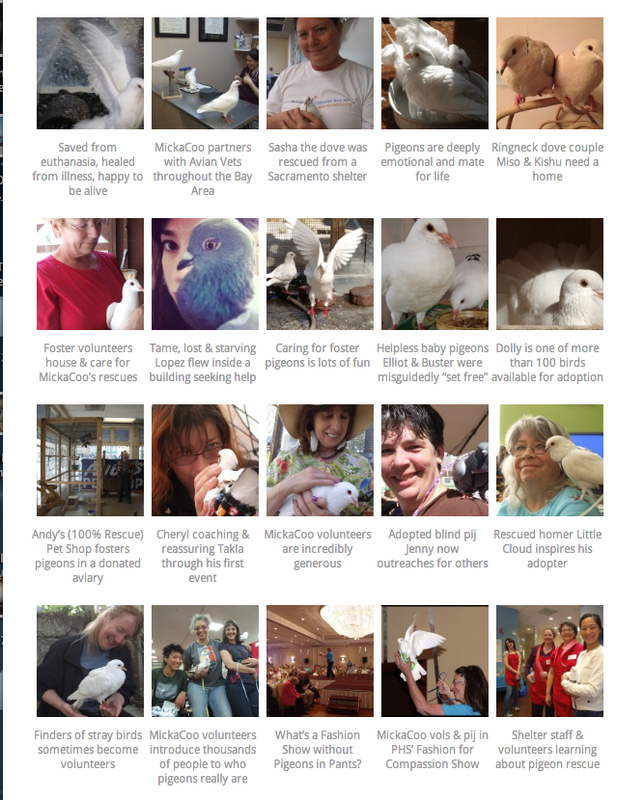 MickaCoo volunteers and pigeons participated in KRCB's Epicurean Auction Fundraiser. It helps public TV and gets the pigeon rescue cause on TV. HUGE thanks to MickaCoo volunteers Noreen, Max, Dawnelle, Michelle, Helen and Cheryl for devoting more than 8 hours of their weekend in support of this effort and to our special friends at KRCB- Mary and David for including us!